"You're better off not entering with that piece! 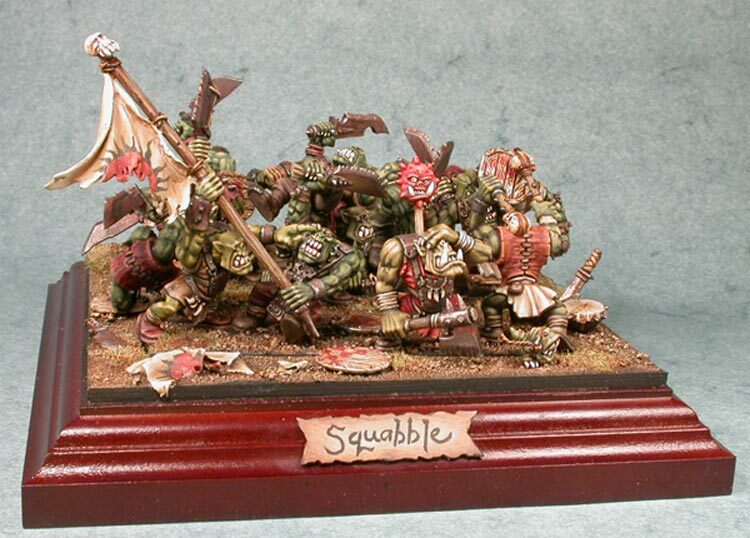 It doesn't have the same style GW miniatures use!" "It doesn't even look like a regiment anymore, why would you even try?" Does that look like a regiment? Nah.. Did it win Gold in the Fantasy Regiment category? Yes! It did! So why follow these rules so strict? Why not just have fun? Convert, build, paint and afterwards you can always alter things that little bit if it stumbles over the edge of the cliff called "Rules of Games Workshop". I would like to request people to keep this post in mind when reading my blog. As I will always do what I like and I will always have the most fun that way!